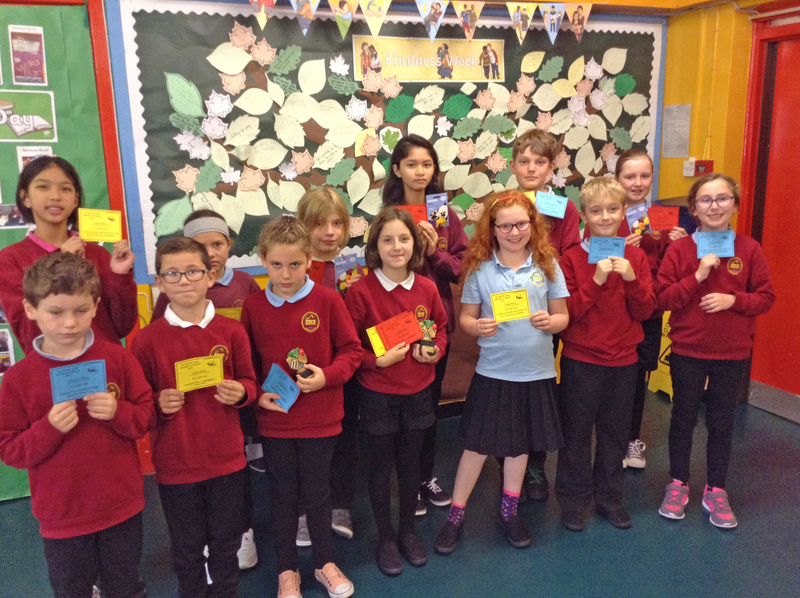 Pupils from Broadford Primary School are pictured displaying their winners’ cards from the Skye Gardening Society flower and produce show which was held recently. They entered three different categories: pebble painting, collage and create a bug’s home. Pupils were delighted with their performance. Winners in the 6-8 age group for collage were 1st Heather Innes, 2nd Lacey Morgan and 3rd Susan Armstrong. Painted pebbles – 1st Heather Innes, 2nd Lacey Morgan, 3rd Arran MacKinnon. Bug’s home – 1st Lacey Morgan, 2nd Samuel Stewart, 3rd Heather Innes. In the 9-11 age group for the collage the winner were category 1st Monica Abringe, 2nd Abbi Morgan, 3rd Franczesca Abringe. Painted pebbles – 1st Mia Brown, 2nd Rowan Purrett, 3rd Kylah Brown. Bug’s home – 1st Ewan Hynd, 2nd Gyorgy Szoke, 3rd Rowan Purrett. In addition to these, Heather Innes and Lacey Morgan received trophies for 1st equal overall in their age category.